Our intention is to provide a high-quality, professional service within a friendly environment, to the local area and beyond. The clinic was established in 2013 by Chiropractor and owner Angela Winter, who has created a team to support her biomechanical approach to treating patients. To this end, we also offer therapeutic massage and physiotherapy appointments. All therapists are registered with the appropriate professional associations and carry full indemnity insurance. Our aim is to reduce pain, restore movement, improve quality of life and maintain it. We strive to do this by offering expert help and effective solutions to provide our patients the very best possible care. We have helped lots of people who have suffered with pain or a loss of mobility and those who have had their lifestyle or work affected. 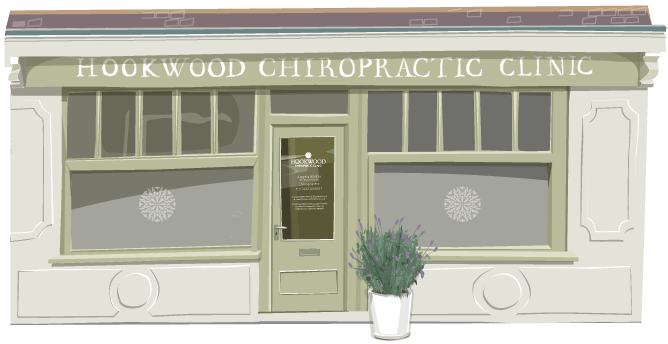 Hookwood Chiropractic Clinic is proud of our role at the heart of the local community. Our patients are at the centre of everything we do and we welcome your feedback and comments. The clinic is located in a small parade of shops just off the ‘Window Box’ roundabout on the A246 in West Horsley, adjacent to Bell & Colvill Lotus and Subaru car garage. Approximately 35 minutes walk (1.8 miles) from Horsley station. Buses 478 and 479 stop at ‘The Pumping station’/Window Box roundabout, close to the clinic. The 478 travels to Guildford, Merrow, Clandon, Horsley, Effingham, Bookham and Leatherhead. The 479 travels to Guildford, Merrow, Clandon, Horsley, Bookham, Ashtead and Epsom. 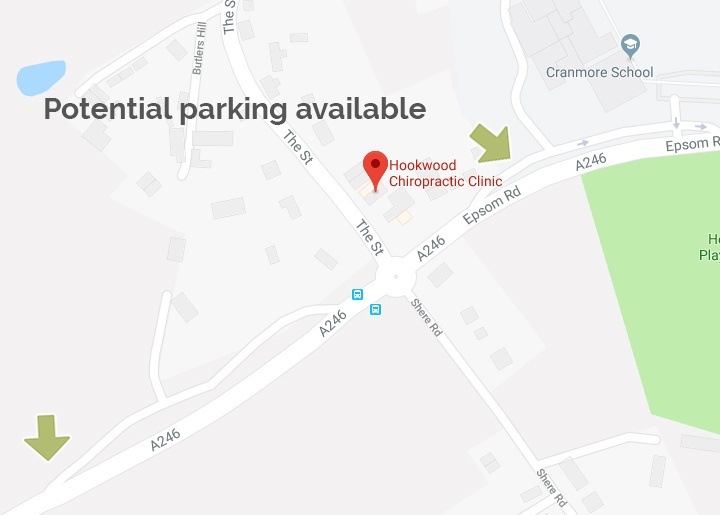 There is parking in a lay-by directly outside the clinic, but there is also more parking available either around the corner on the Old Epsom Road or sometimes spaces can be found outside Cranmore school.